It’s easy to assume that enterprises who implement a cloud solution only stick with one cloud provider. However, evidence suggests that this isn’t the case. In their recent 2019 State of the Cloud Report, RightScale found that 84% of survey respondents implement a multicloud strategy. This means that they operate more than one cloud instance from different providers. They also found that the number of hybrid cloud users, or users who implement a combination of public, private, and/or on-premise deployments, is increasing. Recently, however, enterprises have begun to embrace a new type of cloud architecture: hybrid multicloud. Hybrid multicloud, true to its name, is simply a combination of a hybrid and multicloud deployment. Businesses adopting the cloud want to do so with a smart strategy, knowing how and when to apply cloud-based solutions. Why are enterprises switching to a hybrid multicloud mindset, and should your company make the transition? Below, we’ve outlined the impetus behind hybrid multicloud deployments and the potential impact they could have on cloud computing. The approach behind a hybrid multicloud environment is to give enterprises the ability to “run anything, anywhere.” Traditionally, when enterprises implement a new deployment, they have to rewrite or reconfigure apps, workloads, and data to work inside the new system. By adopting a hybrid multicloud system, the enterprise can proactively design their information to cooperate with each deployment. To achieve this, cloud providers need to support open coding languages and environments to achieve interoperability for its users. While hybrid multicloud does bring more enterprises into the cloud, it should be made clear that it is not a replacement for on-premise deployments. Companies might believe that implementing multiple clouds eliminates the need for them to continue to run an on-premise architecture. In fact, hybrid multicloud can extend the on-premise capabilities of enterprises. Users will continue to keep their information secure on a physical architecture while taking advantage of the power that a cloud environment provides. The biggest way hybrid multicloud will impact cloud computing isn’t just the ability for enterprises to run a workflow in any environment. It’s also a sign that the cloud will become more open in the future. Traditionally, cloud providers siloed themselves off from each other, using different formats and languages from each other. 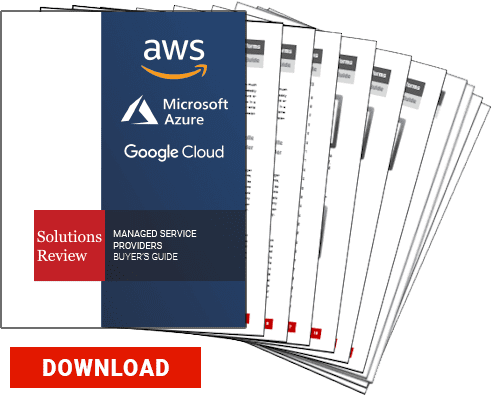 However, Google recently challenged that idea with the launch of Anthos, their hybrid cloud platform that includes support for AWS and Azure. We predict that more cloud providers introduce support for hybrid multicloud environments in the future, bridging the gap between the top vendors. Google’s Anthos announcement might prove to be a watershed moment in the cloud market, bringing more hybrid multicloud users into the space. Cloud providers will need to support open environments in order to make this happen, but those that do will create a cloud environment that gives uses an incredible amount of computing power over the cloud.